Infinite Art Tournament: The Infinite Art Tournament, Round Two: Fabritius v. Feininger! The Infinite Art Tournament, Round Two: Fabritius v. Feininger! Crushed Jean Fautrier in Round 1. 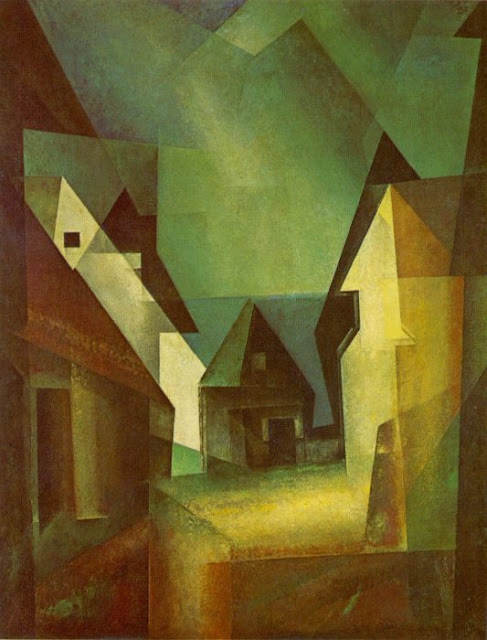 I adore the finch, but I am enjoying Feininger's perspective this morning. Sorry, Fabritius - you got my vote last time, but not today. 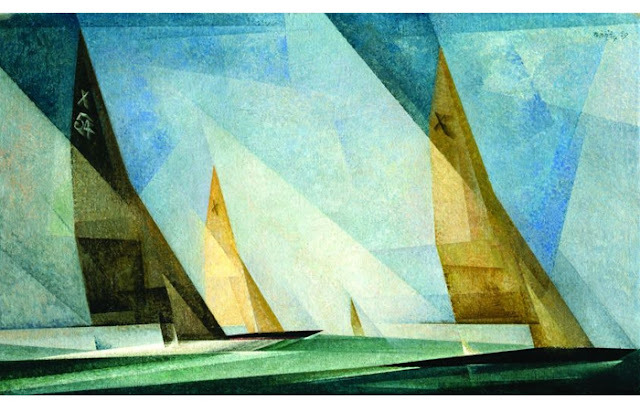 The Fabritius is lovely, but I have a real thing for Feininger. Spent quite a few happy hours this winter with a big fat Feininger book from the library, after ogling little paintings at the LACMA. Abstract overlapping polygons? Abstract overlapping polygons. Feininger. 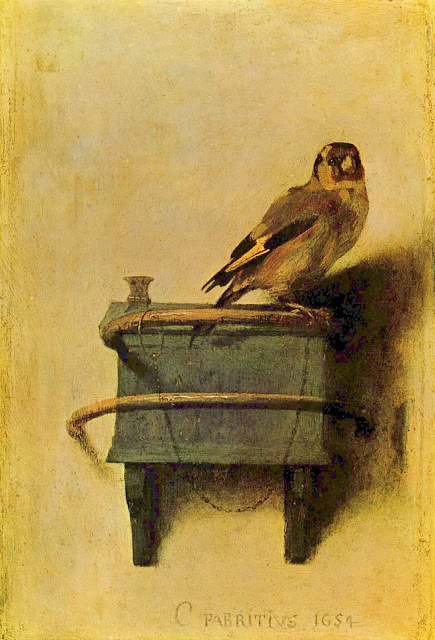 I'll buck the trend and say Fabritius. Maybe I am cubismed out. 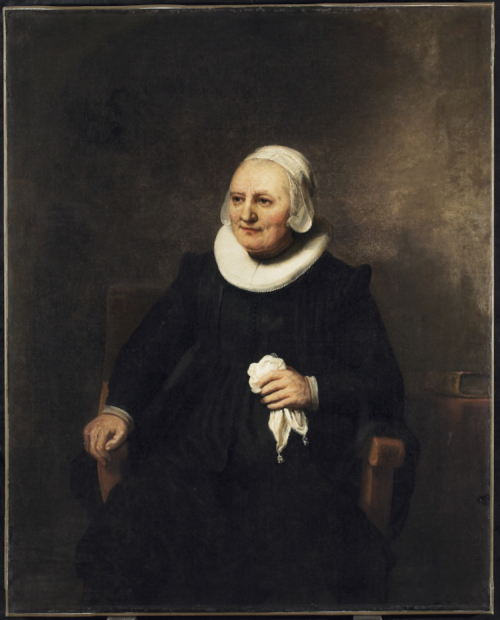 Not blown away by either, but I do like fabritius' second. 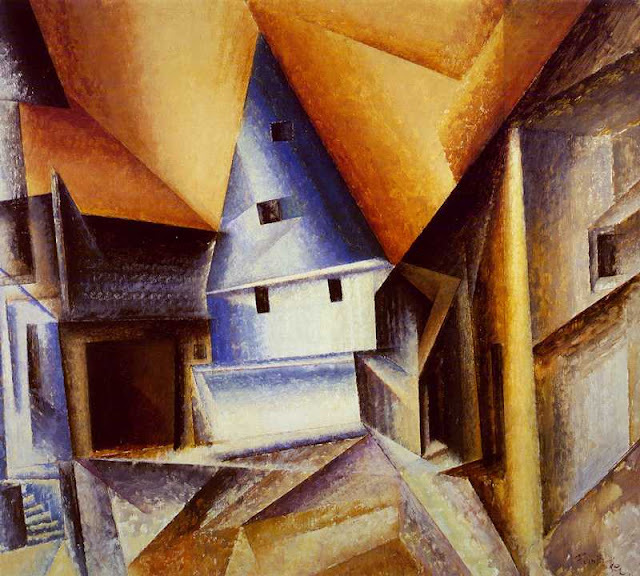 Vote by email: "Fabritius' finch trumped Fantin-Latour's flowers for me, but I'm sticking with my early enthousiasm for Feininger in this round." Usually I am anti Cubism, just because for some reason it's boring to me, but today it just never stops raining, and I think Feininger's colors and angles are nice, so I will vote for him. Tough call. I'm going to go with Feininger, I think. If I were to vote for a cubist, it might be Feininger, but I'm not going to--or not yet, at least--so it's a vote for Fabritius. Feininger squeaks by! And Fabritius is off to the left bracket. It was a 7-5 nailbiter -- your vote counted!